A female orca named Wiki is thought to be the first of its kind to imitate human speech, mimicking words such as "hello" and "bye bye". The 16-year old female learned by copying a trainer at Marineland Aquarium in Antibes, France. Taught to “speak” through her blowhole, she can mimic words and count “one, two, three,” using squawks, shrill whistles or raspberries. Researchers are attempting to ascertain whether orcas can learn new vocalizations by imitating others. Whales are acknowledged for their communications skills, which allow pods to ‘talk’ to each other through a complex repertoire of clicks and singing. Whales and dolphins are amongst the few animals able to produce a novel sound just by hearing it. "In mammals it is very rare," said Dr. Josep Call of the University of St Andrews, a co-researcher on the study. "Humans obviously are good at it... Interestingly, the mammals that can do best are marine mammals. 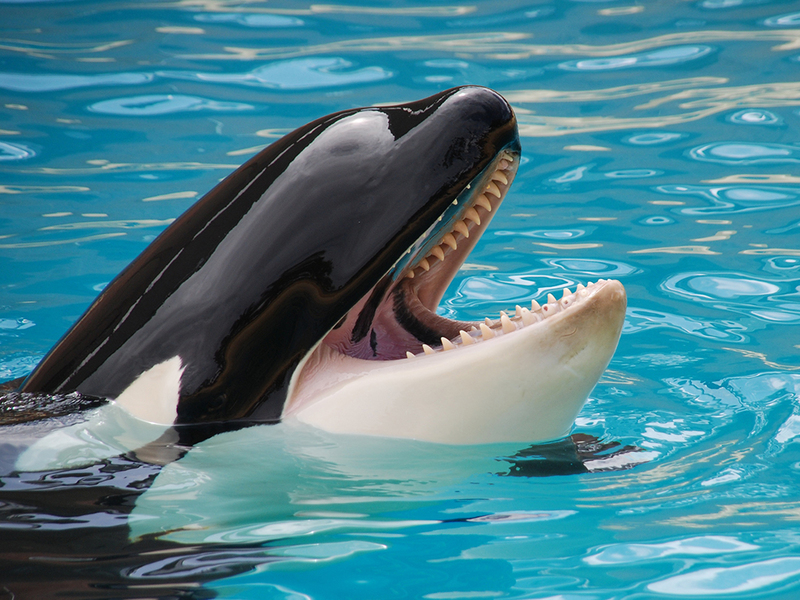 The killer whale that we studied in captivity was capable of learning vocalizations of other killer whales and also human vocalizations by imitating them," added Dr. Call. According to study co-researcher Dr. Jose Abramson, from Complutense University of Madrid in Spain, basic "conversations" with Wikie may be possible one day.” Yes, it's conceivable ... if you have labels, descriptions of what things are," he said. "It has been done before with a famous grey parrot and dolphins using American sign language; sentences like 'bring me this object' or 'put this object above or below the other'." However, he stressed we must be careful about imposing human concepts on animals, with more to gained by understanding the natural way species communicates in their own environment. Wikie made sounds while partially immersed in water with her blowhole exposed to the air. Sounds made underwater may be quite different and since this was just the one whale, the researchers are unsure whether there are more copy-cat orcas in the wild. Orcas, are the largest of the dolphins and one of the world's most powerful predators, preying on marine mammals such as seals, sea lions, and even whales.